The US government, through the department of state, has donated non-lethal equipment to support the Ugandan military contingent in Somalia. The equipment support is worth billions of Ugandan shillings, according to a statement by Maj. Robert Kamara, the Uganda contingent spokesperson. The lot includes two dozers, four motor graders, four Compact rollers and four front-end loaders. Others are two trailer tractors, two low bed vehicles, four recovery trucks, two tele-handlers and an assortment of spare parts. James Watters, the site coordinator at the US department of state, handed over the equipment on behalf of the US government. He reiterated his government’s continued support to AMISOM in the fight against terrorism and commended the good work of the African Union (AU) peacekeepers in support of the Somali government. The Uganda contingent commander in AMISOM, Brig Sam Okiding, received the items on behalf of the Ugandan government at the AU’S Halane camp in the Somali capital Mogadishu. He appreciated the continued support from the US government towards the fight against terrorism in Somalia and to the UPDF in particular. He said the machinery donated is enough to establish a ‘Mission Enabling Unit’ that could carry out various infrastructural projects in Somalia to enhance peace and security. 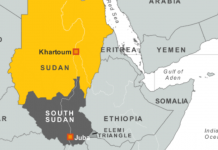 “These machines will help in the rebuilding and maintenance of the main supply routes used by the AU forces. This will enhance free movement and safe passage, hence facilitating humanitarian activities, governance and Somalia’s recovery process,” added Brig Okiding. 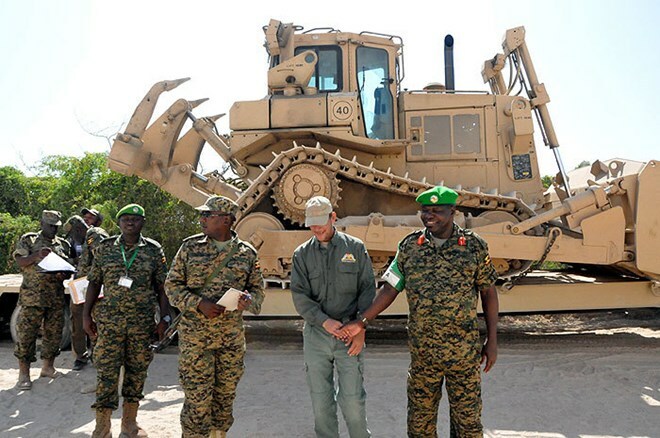 This support comes only a few months after the US again supported the Ugandan forces in Somalia with a donation of several Mine-Resistant Ambush Protected (MRAP) vehicles that have greatly enhanced AMISOM operations. Other MRAP vehicles were delivered to facilitate training in Peace Support Operation Centre in Nakaseke district. 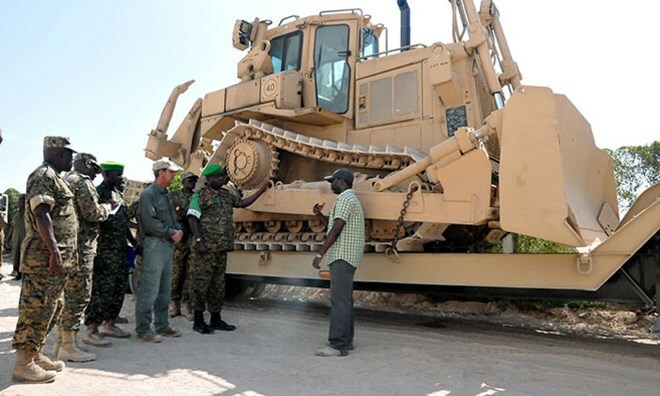 The US government is a key contributor to the UPDF in several fields like equipment support and training among others. This has impacted positively in the capacity building and professionalization within the UPDF and significantly contributed to the Ugandan government’s regional peace endeavors and the fight against terrorism.